Ajax, Slavia Praha and Glasgow City are among the 12 teams that have progressed to complete the round of 32 line-up. Gintra, Olimpia Cluj, Ajax, Medyk, Apollon, Minsk, Stjarnan, BIIK, Avaldsnes, PAOK and best runners-up Zürich have progressed from the ten qualifying round groups. Ajax will field UEFA Women's EURO 2017 winners as they make their UEFA Women's Champions League debut when the qualifying round starts on Tuesday with 40 clubs involved. Ajax are in a group including Standard Liège while fellow newcomers Shelbourne face a short trip across the Irish border to take on Linfield following the UEFA Women's Champions League qualifying round draw. A record 61 teams from 49 different associations have entered the 2017/18 UEFA Women's Champions League with Fiorentina, Ajax and Sporting CP among 12 debutants. Apollon, Minsk, Breidablik, Medyk Konin, Zürich, Sarajevo, BIIK-Kazygurt, Avaldsnes and Twente are all through to the last 32 after topping their qualifying round groups. The nine UEFA Women's Champions League qualifying round groups kick off on Tuesday with first Kosovan entrants and the likes of Twente aiming for knockout berths. The qualifying draw has been made, with the first Kosovan entrants in any European competition, Hajvalia, travelling to Cyprus for a group containing sole 16-time entrants KÍ Klaksvík. A record 59 clubs from 47 countries have entered in 2016/17, including the first ever team from Kosovo to play in UEFA competition, among 36 sides in the 24 June qualifying round draw. ZFK Minsk, PAOK, Stjarnan, FC Twente, Olimpia Cluj, Spartak Subotica, Medyk Konin and PK-35 Vantaa have progressed. Our reporters round up the action. Five debutants will mingle with three recent round of 16 veterans when the eight UEFA Women's Champions League qualifying round groups kick off the season on Tuesday. The 2015/16 qualifying round draw has been made at UEFA headquarters in Nyon, with the 32 sides involved aiming for eight berths in the knockout phase. A record 56 clubs from 47 nations have entered in 2015/16 including three from Germany, one from Luxembourg and debutants Chelsea LFC and Club Atlético de Madrid. FC Zürich Frauen, MTK Hungária FC, Glasgow City FC, ŽNK Osijek, Apollon Ladies FC, Gintra Universitetas and ŽNK Pomurje took the last seven round of 32 spots. Raheny United FC, KKPK Medyk Konin and Clube Atlético Ouriense will all play in the knockout phase for the first time after topping their groups with a game to spare. KS Vllaznia made history, Konak Belediyespor and ŽNK Osijek got in the goals, and Raheny United and Clube Atlético Ouriense upset the odds as the qualifying round began. UEFA.com presents a guide to the qualifying round of the UEFA Women's Champions League, which starts on Saturday, and picks out a few teams to watch. The 2015 UEFA Women's Champions League final is to be held at Friedrich-Ludwig-Jahn-Sportpark in Berlin on 14 May, the early date due to the FIFA Women's World Cup. A little over a month after VfL Wolfsburg retained the trophy, the 32 clubs in the 2014/15 qualifying round have discovered their mini-tournament opponents. With the 54 entrants confirmed, the 2014/15 campaign will conclude in Berlin on 14 May, the qualifying round draw streamed live from 14.00CET on 26 June. The round of 32 lineup is complete after the qualifying round ended with Apollon Limassol LFC and Glasgow City LFC among eight teams that made it through on the last matchday. Two of the ten available spaces in the round of 32 were filled on the second day of qualifying round action, FC Zürich and Konak Belediyespor the teams to progress with a game to spare. Eighty-two goals were scored on matchday one, with ZFK Spartak Subotica and PK-35 Vantaa responsible for 23 of them following 10-0 and 13-1 victories respectively. Experienced clubs like Glasgow City LFC and six newcomers are among 32 sides starting 2013/14 in the qualifying round from Thursday, with ten knockout spots on offer. The highest-ranked side in the qualifying round, Glasgow City LFC, face a tough trip to FC Twente while the only ever-presents play debutants after the eight groups were drawn. Season 2013/14 is the toughest yet with Tyresö FF and Paris Saint-Germain FC joining holders VfL Wolfsburg and three ex-champions while 32 of 54 entrants await the qualifying round draw. Cyprus's Apollon Limassol LFC are among the sides to have reached the UEFA Women's Champions League knockout stage, where more established names enter the fray. A draw in the Group 8 decider proved sufficient for Glasgow City LFC and PK-35 Vantaa to join eight other teams in reaching the knockout stages, six of whom qualified with maximum points. On a day of high drama Apollon Limassol LFC came of age with a record 21-0 win against KS Ada Velipoje while FC Zürich became the first club to confirm their place in the last 32. WFC Kharkiv and CFF Olimpia Cluj were the biggest winners on matchday one, which also brought victories for Apollon Limassol LFC, Glasgow City LFC and Inka Grings' FC Zürich Frauen. Glasgow City LFC, Apollon LFC, ever-presents KÍ Klaksvík and Montenegrin pioneers ŽFK Ekonomist Nikšić are among the 32 clubs competing in the qualifying round from Saturday. Glasgow City LFC, who reached last season's round of 16, have been placed in a qualifying round group with two other up-and-coming sides, PK-35 Vantaa and WFC Osijek. Some 54 clubs from 46 nations will compete in the 2012/13 UEFA Women's Champions League, with 32 of them involved in the qualifying round draw on 28 June. BSC Young Boys, ASA Tel-Aviv FC, Glasgow City LFC, PK-35 Vantaa, Apollon Limassol LFC and WFC Osijek moved into the last 32 after winning their qualifying round groups. Rayo Vallecano de Madrid and CFF Olimpia Cluj secured first place in their qualifying round groups and made it to the round of 32 with a game to spare. Apollon Limassol LFC, MTK Hungária FC and PK-35 Vantaa recorded big victories on the opening day of the qualifying round, but Rayo Vallecano de Madrid needed a late winner. The UEFA Women's Champions League qualifying round begins on Thursday as 32 teams, newcomers from Latvia and Albania among them, chase ten knockout berths. Rayo Vallecano de Madrid will travel to Slovenia while Apollon Limassol LFC welcome Legenda Chernigiv in the qualifying round from 11 to 16 August after the draw was made in Nyon. Champions Olympique Lyonnais lead a record entry of 54 clubs for the 2011/12 edition with Albania and Latvia represented for the first time on the road to the 17 May final in Munich. 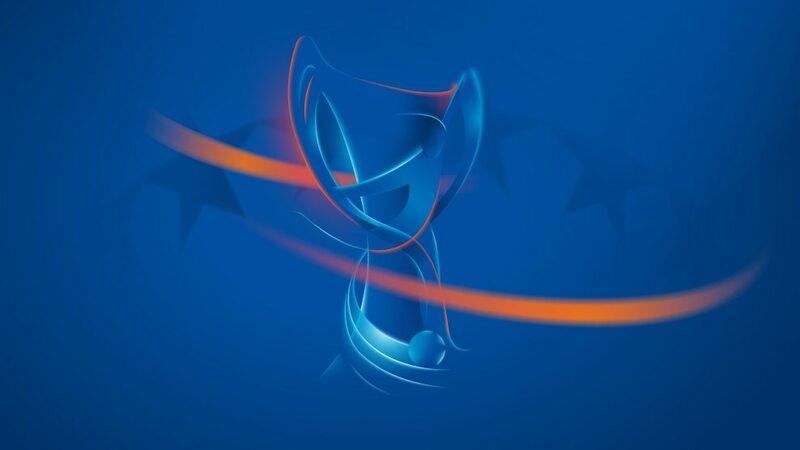 UEFA.com has the reaction from the nine sides through from the qualifying round including former winners FCR 2001 Duisburg and surprise package Apollon Limassol LFC. FCR 2001 Duisburg, Brøndby IF, Everton, Apollon Limassol LFC, FCF Juvisy Essonne, ASD Bardolino Verona, FC Rossiyanka, Breidablik and ŽNK Krka are through but Umeå IK are out. Umeå IK are all but out after a surprise 4-1 defeat by Apollon Limassol LFC on Matchday 2 of the qualifying round, while Brøndby IF and FCF Juvisy Essonne won 12-0. Former champions Umeå IK and FCR 2001 Duisburg began their campaigns with 3-0 wins, while Breidablik were one of two teams to hit eight on Matchday 1 of the qualifying round. The journey to the 2010/11 UEFA Women's Champions League final in London starts across the continent on Thursday when the seven qualifying round mini-tournaments get under way. Twice European champions Umeå IK will travel to Cyprus while fellow former title winners FCR 2001 Duisburg go to Northern Ireland after the draw for the 2010/11 qualifying round was made. The UEFA Women's Champions League qualifying round draw will take place at 12.00CET on Wednesday with Umeå IK and FCR 2001 Duisburg among the 28 clubs involved. All seven teams through from Tuesday's decisive qualifying round were among the inaugural set of runners-up given entries, Brøndby IF and Everton LFC both reaching the last 32 thanks to 1-0 wins. ASD Torres Calcio became the first side to make it through the UEFA Women's Champions League qualifying round as a 9-0 victory against Trabzonspor ensured they would finish atop Group 4. FC Bayern München and Everton LFC overcame scares on the opening day of the qualifying round but both WFC Rossiyanka and Linköpings FC showed their class, scoring eleven without reply.